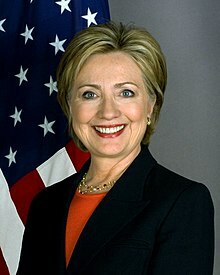 In 2015’s polling world, Hillary wins the race with 49 percent support out of the candidates running, compared to 34 percent for Bush and 35 percent for Romney. Clinton advisers have said they would actually prefer a Clinton-Romney race, viewing him as the “weaker” Republican candidate in the set. 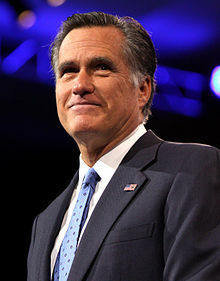 A recent poll suggests that former presidential contender Mitt Romney would win the Republican nomination for the 2016 presidential election, amid rumors he is considering a third run. However, the poll also suggests that Hillary Clinton, regardless of which Republican candidate runs against her — Romney, former Gov. Jeb Bush, or Sen. Paul Rand — would sweep the final election. Commentators and pollsters waiver on the ultimate victor though, given that Election Day is still almost two years away. Though, Romney’s and Clinton’s weaknesses and gaffes have been very publicly vetted throughout past years, the emergence of new hiccups and the resurgence of old ones is inevitable during election season. Politics can be cruel! When it comes to key demographics, Clinton might again have the edge. Younger, minority and women voters have typically voted Democrat, making the difference for Obama in both prior elections. However, this demographic largely stayed home during the recent midterm elections, making it difficult to gauge their specific impact on the 2016 race. Still, polls indicate that both minority and the youth vote are far more likely to show up for the more prominent, salient White House race, motivated by big social issues and policies. Clinton has also snagged key 2008-2012 Obama campaign team members, which some pundits and commentators say could help her team successfully replicate the 2012 win. For some political analysts, this choice might be a hindrance to the Clinton coalition, depending on how she wants to portray her relationship with the Obama administration to both voters and the media. Most significantly, Clinton’s chance to become the first female president has the potential to bring voters to a historic election that they otherwise wouldn’t participate in. Regardless of individual biases, historical trends can be an obstacle. Clinton’s political party is the same one that currently rules the White House. There have only been a few times (most recently, George H. W. Bush’s 1988 win following Ronald Reagan’s presidency) when a candidate sharing the same party as the outgoing two-termed president was able to get elected. Most commonly this trend prevails because voters are disappointed with the turnout of how the incumbents second term has gone. Although, Obama’s approval ratings have increased over the past couple of months, his disapproval rating is still high at 48 percent. How Obama ends his presidency, could either help or hinder Clinton’s 2016 aspirations. Regardless of the impression voters have of Romney, his public image has improved since 2012. His advisers have attempted to “humanize” him, with members of his family opening their lives up to the media. The Netflix documentary “Mitt” was a substantial part of this re-imaging campaign, making him more relatable to the public. These intimate portraits have given Americans access to Romney as a person, not just a businessman, governor and Olympic savior. On the policy front, some of Romney’s more criticized points have proven prescient. His 2012 foresight of the rise of Russia as a geopolitical threat and the difficult implementation of Obama Care have been borne out with time. Regardless of Romney’s image revitalization or intuition on certain issues, there still loom substantial stereotypes and obstacles in his potential path to 2016. For example, during Romney’s 2012 presidential run, Democratic commentators consistently portrayed him as out of touch with the American electorate. From his off-base estimate of average middle class incomes (he said $200,000-$250,000), to his infamous dismissal of the “47 percent of Americans who are dependent upon government … who believe that they are victims,” are reminders of his perceived elitism that are just a click away.